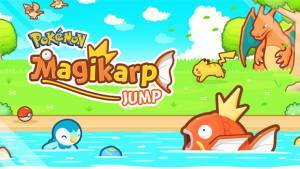 Magikarp Jump is the new Pokemon spinoff game from the Pokemon Company available on android and ios devices. And form simple ideas and concepts comes many hours of Magikarp fun! The idea is that you raise your Magikarp and take on various gyms until you complete them all. You can collect items and train your Magikarps and grow stronger as a trianer yourself. Check out our free guide now for some top tips on how to play this game. No discussions open for Magikarp Jump at the moment.